The Ink Trap: Bellarific Friday at Stamping Bella! 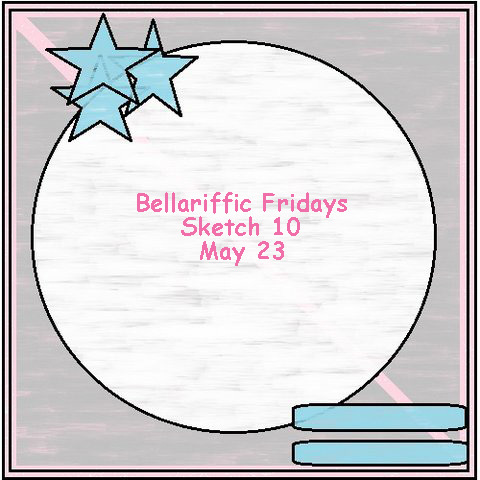 Bellarific Friday at Stamping Bella! Hey, all! Back today with my Bellarific Friday card for Stamping Bella! This week we featured a sketch and it wasn't until I enlarged it just now that I realized it contains 2 panels cut on the diagonal. OOOF! I messed that up. Let's pretend I didn't, don't tell, okay ;) It is, after all, an interpretation...heehee! I used Uptown Girl Paisley has a Prezzie, isn't she pretty. Love that she's hiding a sweet little gift behind her back :) Maybe it's for me. Find this lovely image in the Stamping Bella Shop and feel free to look around. LOTS of fabulous stuff there! Visit the Stamping Bella Blog to get a gander at some eye popping creations from the DT and to find out more about the next challenge. Paisley is one of my FAV images from the last release! Love how you did her hair and the shading on her shirt!! New Try Folds at Art Impressions! Sally Swimmer by Art Impressions! Sweet and Simple using Art Impressions Stamps! Art Impressions Ai People Blog Hop! The Blue Bird of Happiness! Air -Hag takes a Vacay! Bellarific Friday and Stamping Bella! Backyard Hero by Art Impressions!